Samsung is all set to announce its new Galaxy Note smartphone at launch events that will simultaneously take place in New York, Rio de Janeiro and London on August 2. While many expected it to be called Galaxy Note 6, Samsung had something else in mind. The company decided to skip the Note 6 product name, and instead, will jump straight to Galaxy Note 7. There are a couple of reasons for this. As Samsung explains, first, Galaxy Note 7 will complement the company’s Galaxy S7 and S7 Edge lineup, and unify the product portfolio. Second, the company believes that Galaxy Note 7 will minimise confusion about its latest mobile technology, and provide full alignment with the Galaxy S smartphone. However, if you take into account the 2014 Note Edge, the upcoming Galaxy Note 7 will be the seventh Note smartphone in the lineup. While Samsung is yet to unveil the smartphone, leaked images are already doing the rounds on the internet. If reports are to be believed, Galaxy Note 7 will have a dual-curved display. If this turns out to be true, it will be the first Note phone to come with such a display. The Note Edge also had a curved display, but it was curved only on one side. Also, speculation is rife that it would have an iris scanner for authentication. 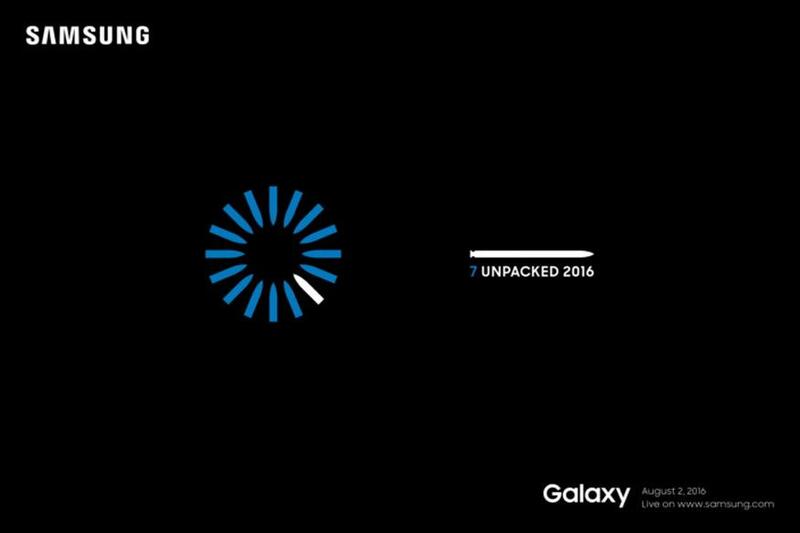 Samsung is yet to confirm that, but the iris-like blue graphic in the invite hints at the same. With Galaxy Note 7, Samsung is also expected to bring back the microSD card slot – something that was missing in the Note 5. This is more so because the Note 5 was heavily criticised for not having a microSD card slot. And also given that Samsung included a microSD card in the Galaxy S7 after giving it a miss in the Galaxy S6, it becomes more plausible for the Note 7 to have it too. Samsung will reveal more details about the phone including detailed specifications, pricing and availability next month. Previous story Asus Zenfone 3 Deluxe with a Snapdragon 821, 6GB RAM at Rs 52,000: Sounds like a good idea?